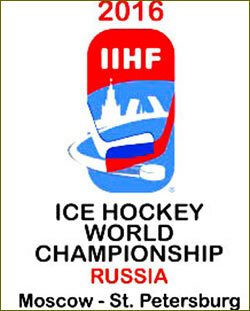 The 2016 IIHF World Championship is the 80th such event hosted by the International Ice Hockey Federation (IIHF), being held in Moscow and Saint Petersburg, Russia, from 6 May to 22 May 2016. Canada entered the tournament as the defending 2015 champions. Hungary returned to the Championship after a 6-year absence, and Kazakhstan after a 1-year absence. City news archive for 13 May' 2016.